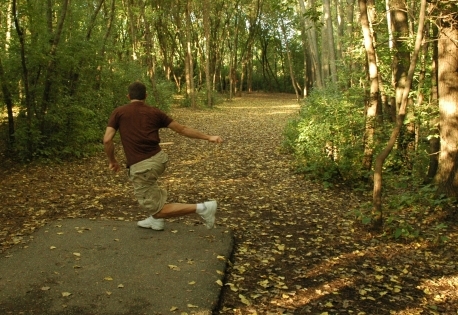 Frisbee golf (more officially named “disc golf”) is a sport that was formalized in the 1970s. Suited for all ages and abilities, it’s both fun and very simple to play: as both its namesakes would suggest, a Frisbee is thrown towards a “basket” from a tee. After the first throw, the Frisbee is thrown again from where it landed. Scoring is kept by counting the number of throws it takes to make the Frisbee land in the basket, with the lowest score winning the game. There are at least eight Frisbee golf courses in Utah Valley, which are located at the Provo Bicentennial Park, Provo Rock Canyon Park, Art Dye Park in American Fork, Provo Riverview Park, Utah Valley University, two in Lehi, and one in Spanish Fork. These courses are suitable for all levels of experience and are free to the public, making Frisbee golf an inexpensive activity for dates, friends, and Family-Home-Evenings. Die-hard Frisbee golfers can also enjoy the challenge of competing in public tournaments. Even though there are fairly inexpensive Frisbee golf “discs” that are optimized for specific distances and flight patterns, beginners can play the game with any regular Frisbee.